Birmingham, with a population of 1.1 million, is Britain’s second largest city after London. Originally a market town it grew exponentially in the wake of the industrial revolution to become ‘the workshop of the world’. Consequently it has a diverse economic and cultural feel, waves of commonwealth immigration have resulted in a rich ethnic mix. During the last war Birmingham was a major target and thus there has been much rebuilding in the intervening years - and some serious regeneration recently. The best places to stay in Birmingham give the visitor prime position to discover the delights of this most interesting of modern cities. Post war reconstruction led to the city centre becoming something of a concrete jungle and Birmingham was still suffering from the decline of its traditional manufacturing and heavy industries. This has now all changed. The economy is predominantly service based and the city is regarded globally as a major transport, retail, conference and events hub. It boasts six universities and five Michelin starred restaurants. The Orchestra, Ballet, Repertory theatre and (new) Library enjoy international reputations. There is also a thriving arts scene. There are endless avenues of interest in the re-emergent Birmingham, from its state of the art new library and the stunning New Street station to the old Symphony Hall. One of the finest collections of Pre Raphaelite art is to be found in one of the many public galleries. Birmingham has come a long way from the old canals and the Grand Junction Railway Company! Visit the Library of Birmingham, an impressive building both on the outside and on the inside. Scour the vintage and boutique shops at Birmingham's hip shopping arcade, The Custard Factory. Take a relaxing cruise along the canal. Watch a movie in the UK's oldest running cinema, The Electric Cinema. Make a trip to the Birmingham Museum and Art Gallery housing an impressive range of as many as 40 permanent galleries that showcase applied arts, social history, archaeology and ethnography. 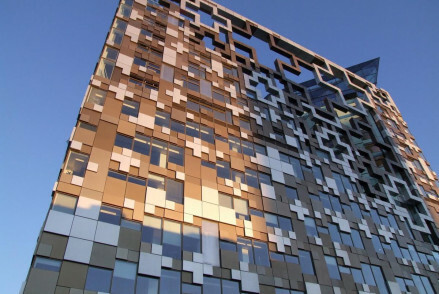 Deservedly it is the fourth most visited city in the UK by foreign visitors, so if you want to make sure of a bed in one of the best places to stay in Birmingham, get organised and book well ahead. 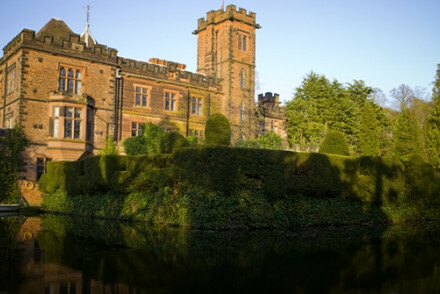 New Hall Hotel and Spa is a grand manor house turned luxury hotel, dating back 600 years and complete with moat. Plus there's a great spa, gym and AA rosette restaurant. 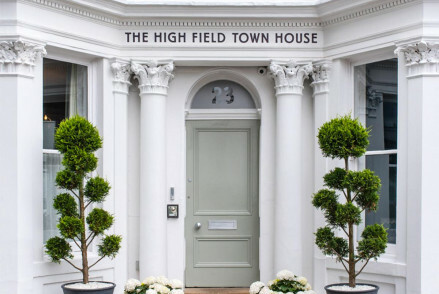 Hotel du Vin - situated right in the heart of the city this gentleman’s club style boutique hotel has everything on its doorstep. Inside the decor is sophisticated while still being child and pet friendly. Fly to Birmingham Airport with good connections from across the UK, Europe and beyond. For rail travel there are three city centre stations providing fast and frequent connections to both local and national destinations. Best time to visit - Birmingham is a year round destination with each season bringing its own charm but for the best chance at warm days visit in the summer months of May - August. Check out all our recommendations for the best places to stay in Birmingham. Expand your search to include all our properties in the Midlands. Immediately striking on the eye, Hotel Indigo is the epitome of a modern hotel. Sleek rooms, an indoor pool, deluxe spa and excellent restaurant form the bedrock of this classy establishment. Local markets - If you are here in the festive season, head to the nearby Birmingham Christmas Market. Sights nearby - Go and explore Birmingham's nearby Chinese Quarter. 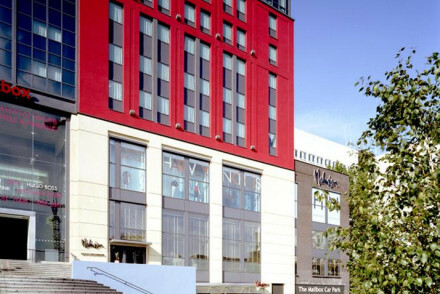 Central location and comfortable rooms are the name of the game at the Malmaison in Birmingham. Featuring excellent rooms, a restaurant and a number of spa therapies, Malmaison is perfect for those looking for a good value option in the centre of town. Sights nearby - Visit the magnificent Victoria Square nearby to the hotel. Local markets - Five minutes walk from Birmingham Christmas Market. 6oo year old moated manor turned country house hotel just outside Birmingham. Sixty spacious bedrooms traditionally decorated, but with all modern amenities. Great spa facilities and 2 AA Rosette standard dining. Restaurant, Bar and Boutique Hotel in the heart of Birmingham's Jewellery Quarter. All-suite luxury accommodation boasts contemporary decor with waterfall showers as standard. All day restaurant for casual or formal dining and the bar has a wide range of cocktails. Ideal for business or leisure. Sights nearby - St Paul's Church is right on the doorstep. 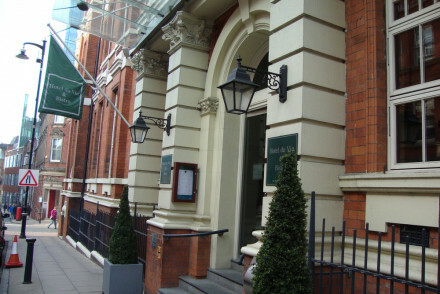 Delightful townhouse hotel just a short way from Birmingham city centre. The rooms have an easy elegance and the hotel's restaurant serves a delicious array of seasonal food. A great base for a weekend trip to Birmingham. Sights nearby - Head into town and explore the sights and sounds of the UK's second largest city. Great walks - Enjoy a walk through the nearby Botanical Gardens. Part of the 'Hotel Du Vin' chain, the staff here know what they are doing. Service is excellent and rooms are spacious, decorated in a gentleman's club style. Brown leathers and dark colours, many with large roll-top baths. The cuisine is modern French with private dining available. Bon appetit! Great walks - Through Birmingham's peaceful Botanical Gardens. A haven in the heart of England's second largest city. Sights nearby - The historic Aston Hall is well worth a visit. 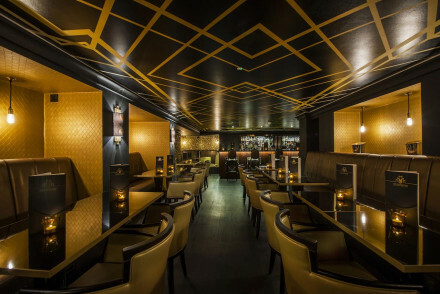 Snazzy and stylish, The Edgbaston is an excellent option for a visit to Birmingham. Boasting plush rooms, an atmospheric bar and a superb restaurant. It's a great choice for a weekend in the city of a thousand trades. 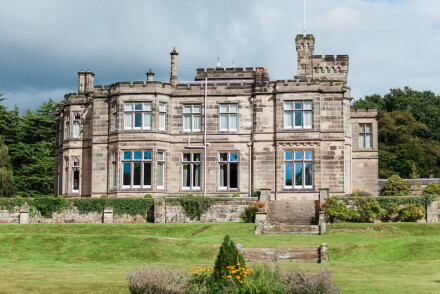 Hampton Manor Hotel is set in an historic country house just a short distance outside Solihull. 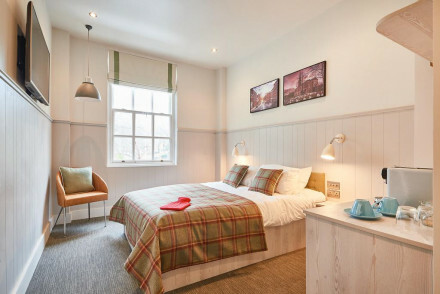 The rooms are smartly decorated - featuring boutique furnishings and quirky headboards. Their cuisine, the main attraction, is also to die for. A splendid rural getaway for foodies and romantics.